'Being in charge of your own life, and making decisions based on what you want to do rather than what you have to do, gives you a rare kind of contentment and shows you that every ordinary day offers magnificent opportunities.' 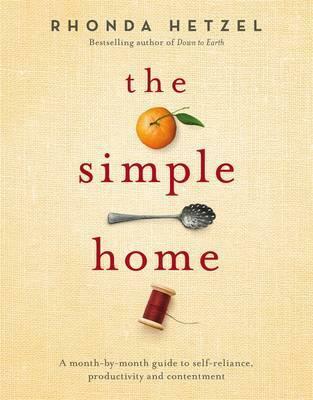 In The Simple Home, award-winning blogger and author Rhonda Hetzel shares the practical side of a simple life. Encouraging you to make what you need and look after what you own, she lays out a year of simple-living projects, with a set of valuable skills to learn each month. This is an inspiring, indispensable guide if you want to slow down, take stock of your life and find pleasure and satisfaction in your home.